As I curvy girl, I normally go for comfort as well as style. I am on the road to losing weight, but in the mean time, why can’t I feel fabulous? 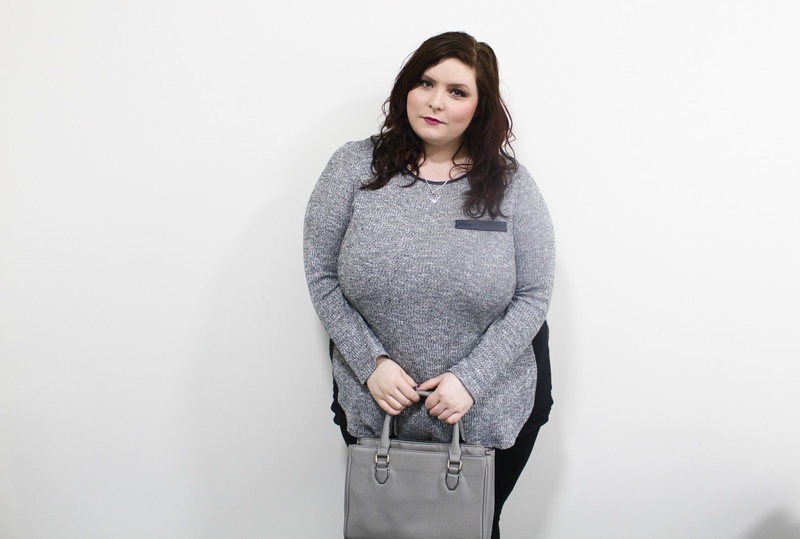 I’ve really been loving this grey split top from Primark. I think it’s really slimming and loose enough to cover up any bumpy bits. Underneath I’ve gone for a simple black vest and black leggings. Cheap and cheerful from Primark as well. I don’t really want to spend too much on money clothes until I’ve lost some weight. My gorgeous necklace is a piece from my new range on deebee, this necklace is actually launching this weekend, so go and have a nosey! 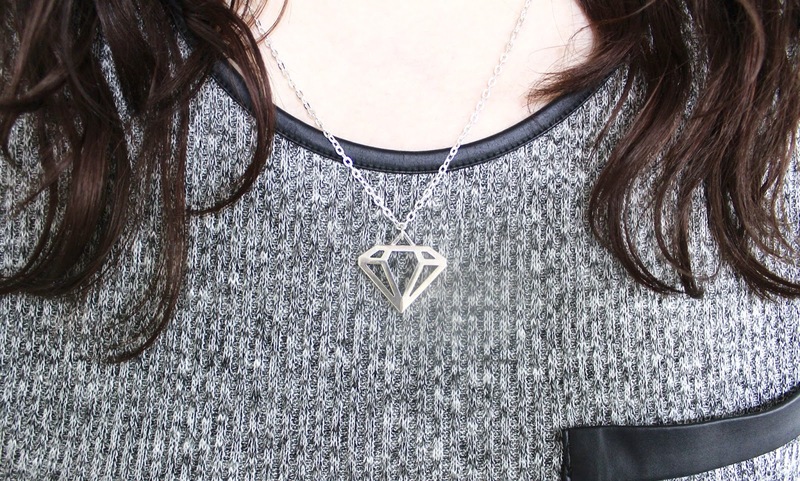 I’ve chosen and made these necklaces myself! So proud. I hope my little deebee shop gets some love. I know I love it! My bag is a Zara city bag. Love these, they are perfect, compact and have all different slots and pockets to place all your bits. To be honest, I’ve always thought I would be big and it was just my lot in life. I’m not particularly happy with it, but I just came to terms with it. I was mainly just concerned about my health. I want to be healthy, live as long as I can and enjoy life. I’ve joined slimming world 5 weeks ago and I didn’t expect to lose weight this quickly but I’ve lost 15lbs in 5 weeks. I can’t get over it. I feel so much better, I ‘ve started yoga again which has also helped with my anxiety. Win win. What’s your go to outfit for a casual day? Let me know in the comments below!